It can be your golden ticket to good rates on credit cards, loans and mortgages – but can also cause you a financial headache. Blessing or block, why do we know so little about credit scores? Often the first time we engage with our credit score is when we get rejected for a loan, credit card or mortgage, which can mean we’re always playing catch up. But even when we start to get to know our score it can be bewildering to know what causes it to change. There are three credit reference agencies in the UK: Experian, Equifax and Callcredit which gather data about us to pass onto lenders. They all use a different scale and varying information to produce a score that we have little control over. Experian uses a scale of 0-999, Equifax 0-700 and Callcredit 0-710. Lenders typically use one, two or all three to gather information about you to make a decision. A low score can mean you don’t get access to finance or are given a worse deal at a sky-high rate. But it’s not just your finances that are impacted by your credit score. In some cases landlords and employers use the magic number to make decisions about letting a property or offering you a job. So for a number that has so much control over our lives, it’s worth finding out what it is and what it means. All three credit reference agencies are pretty upfront about the data they hold on you and all will allow you to check your credit score for free. But it’s rarely enough to just know your score. Understanding what’s pushing it up or down is vital in empowering you to do something to change it. Most people know that registering on the electoral roll and having some form of credit can boost your score. But what about the everyday spending and borrowing that credit reference agencies use to make up our financial profile? Are we doing unwitting damage to our scores by not knowing enough about the actions we’re being judged on? The processes of building up these profiles are usually a closely-guarded secret, making it difficult to guess how certain actions make an impact. However, Experian has revealed some of the situations your credit score can be boosted or hit by how you manage your bills, credit card spending and more. Take the quiz below to test your credit scoring awareness. Credit scoring: how much do you really know? 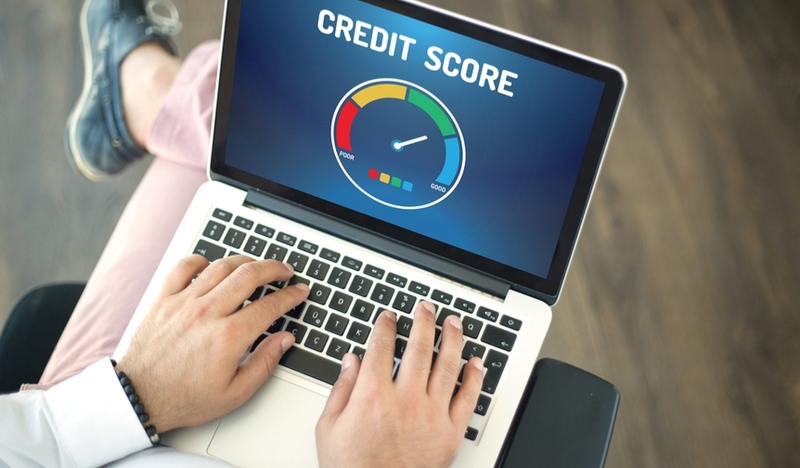 Think you know everything there is to know about how credit scoring works? Test your knowledge with these five questions. You have a credit card with a limit of £3,000. Each month you spend and pay back £2,800. What impact does this have on your credit score? 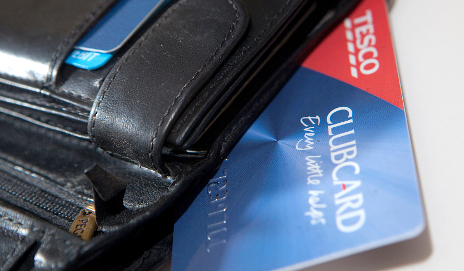 The limit on your credit card is £1,000 but you decide it’s best to reduce it to £250 to help you avoid splurging. What impact does this have on your credit score? It’s time to renew your car insurance and you opt to pay monthly. What impact does this have on your credit score? Shopping around has served you well and you’ve had your credit card for five happy years now. What impact does this long-term relationship have on your credit score? Enough is enough. You’re going to bite the bullet and switch to a bank account with a decent fee-free overdraft. What impact does opening this new account have on your credit score? Two out of five – “credit awareness is not your strong point.” To be honest, I’ve never really bothered with it – and it shows. I suppose if I was refused some form of credit, I would become interested quite quickly, but otherwise, life is too busy. How’s that for a negative attitude? Vynor I must WARN anybody clicking on that URL to take the test I was blocked by my new blocker which is the latest version -new app ( 2017 ) of one of my best blockers . Guess what it blocked ? what you all have been discussing—- FACEBOOK and thats just one of them the trackers were red signifying pretty powerful . If anybody does click on it please remove them from your computer as well as your cache and check to see if facebook has -planted any script on your computer as the server is a tracking server as well . I am only blocked when its serious . Apart from that I must have a very good credit rating I have no problem getting a loan IF I wanted it been offered it many times but as you know I NEVER borrow money . This matter is perhaps being misrepresented as to the intent of the credit rating agencies. Essentially credit rating agencies are calculating how much money you can afford to borrow. Therefore from their point of view if you never borrow you will have a very poor rating unless details on you can be gained from elsewhere. They look at the reverse from what most people would consider makes you a sensible manager of finance. Patrick the last time I borrowed money was in the 70,s to pay for a mortgage , I have never borrowed since but I keep getting offered loans and my bank will give me a loan , something not right here Patrick ? The “system ” is to get you into debt then they have a hold over you and must conform and obey their rules , if you dont owe they dont like a “free radical ” . If I cant afford it I save up or dont buy it ,been that way all my life . Why don’t you look up my credit rating Patrick ? I am watching the previous website tag still trying to track me but being blocked in the process . You are correct to think something is not right here. The aim of Banks etc is indeed to get you indebted to the hilt and this was facilitated by the importing of these credit rating process to replace humans. Humans unfortunately cost money and most lending bankers were actually averse to getting customers in too deep. Programmers being divorced from the resultant potential for human misery were happy to keep tweaking away to refine the full debt-loading model. The merged Banks reduced the number necessary to create a cartel which was fronted by the British Bankers Association. The sloppy lending practices of the Scottish Banks and NAt West, the use of a shopkeeper to head up Northern Rock, and Governments slack attitude to easy credit and a boiling property market just compounded problems when the US market crashed. Discredit to Barclays , who have just paid a 2Bn penalty to the US government, for serious naughtiness in warranting shoddy loans were good. I am always amazed that we have had a very senior Barclays banker on the Which? Ltd Board for years. Bankers and consumer bodies do not seem a natural mix. Ethically speaking the Consumers Association should have ditched Barclays years ago given the trail of dodginess over the last decade [and before]. I know little about Experian and I’m not really bothered about what they know about me. My mortgage was paid off years ago and I can get by without borrowing money. I got twice your score. wavechange. 🙂 But none of it was relevant to my situation as I am not looking for credit. Running your finances sensibly seems not good for your credit score. I tried again this morning and managed to get all the answers right. I may not understand credit scores but at least I can learn. Once a friend told me that he had been turned down for credit cards despite never having reached his mid-20s and never used any form of credit. I cannot remember how he overcame the problem. Wow, I did much worse than this than I imagined. It would be really useful to have a big list of things which correlate well with a good credit score – perhaps as a checklist or something similar?